He’s a player we believe has all the attributes. Very strong physically, he's very fast. It’s not so easy to find a fast player when you are quite a big body, a heavy guy, a tall boy. He comes from a Spanish culture where the first building-up phases are important, so technically he's very good. So is Eric ready to come here and start performing from day one? I don't know. It's a question mark. My job is to delete the question mark as soon as possible, and to make him a player with stature, brain and personality to play for Manchester United. Going to put my neck on the line and predict a 6/10 season for Bailly. That more or less automatically means that Smalling + someone else will be the centre pairing. Makes sense, but I back him to replace Jones sooner rather than later. Yeah, didn't LvG also intend to have Jones as starting CB but his injury issues got in the way? Seing the video in the OP, he actually reminds me of the little we've seen of TFM. Didn't Mourinho explicitly stated in the MUTV interview, when asked about Bailly, that he was hoping Bailly forgot all about his right-back experience? So, no way we'll be seeing him playing there. Any quotes on Jose saying that? Had a quick look at The Guardian website, didn’t find the story. His comments did sound like he considers Bailly a CB, so I think the tweet is bs. It's in the article about Rooney by Jamie Jackson. You can be absulutely sure that Mourinho's intensions is to start Bailly and Smalling as our centre backs when the season begin, bar injuries. They have all the qualitys you need to be successful. Off course he didn't bought his first player to be a back up to Jones, otherwise he should have searched for another quality CB. Jones hardly featured last season, he has a long way to go before I expect him to be a automatic starter. Bailly and Smalling. They will be awesome together. How can you be so sure Bailly will walk into our starting side? Last year´s pairing of Smalling and Blind ranked top of the league as far as clean sheets and goals allowed, and this with about 10 different fullbacks and most of the time with the awful Rojo and worse Darmian. I'd like to see him play RB if we could manage to bring in an experience defender to play alongside Smalling. I do think he will end up part of the first choice pairing at CB by the end of the season. I'm both excited and worried by Bailly. I think he could be a fantastic player, but my concern is that his signing will stop us from signing another centre back. I think we could still do with another one, because we don't have anyone at the back with no question marks over them - even Smalling, our best option. He was brought in as a CB, he hasn't even played a game yet and there are some already calling for him to be a RB. We love our square pegs in this club of ours. Mourinho would be a fool to go into the season thinking he can rely on Jones. Sometimes it felt like every good thing LVG did, he stumbled upon accidentally. We're actually lucky that a good chunk of his hair-brained schemes didn't come off. Terrible on the ball. Get rid. Ever since he's been signed, the caf has been adamant that he'll be a full back, based on no indication whatsoever. 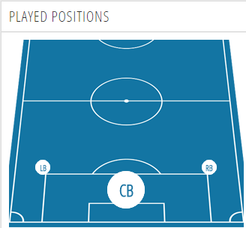 We have signed a centre half, that's where he's played his football so far. Why on earth would he be signed to play at RB? There's a swagger about him. Really nice signing this. Didn't know alot about him but he's classy on the ball. Like him telling Fosu-Mensah to push forward. I like what I've seen so far, looking forward to see how he does under more pressure. Not to mention Jones is always injured. Going to be a regular in the centre with Smalling next season, no? Jones was always a beast for us until the last season. 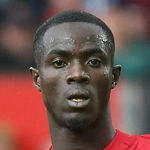 Bailly will have to earn his spot. He looked like the most composed of our defenders but he will need to improve his decision making somewhat. It's his first game after summer but there were a couple of times he turned himself into a bit of trouble instead of taking an easier option. Its ok against Wigan but he wont get away with it against Premier League strikers. If by 'earn' you mean just wait a couple of weeks until Jones injures him after inexplicably charging head first into a door, or seeing if he can bench press a cow for a laff, then yeah, I agree. I look forward to seeing how he gets on in the other friendlies. He looks very composed and confident with the ball at his feet, I know it's only a tweet but I would be surprised if Jones is first choice ahead of him. Hardly saw him, Wigan didn't get past midfield really.